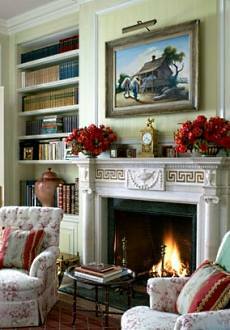 Celebrity Home Photos...Formal & Semiformal Fireplace Designs! 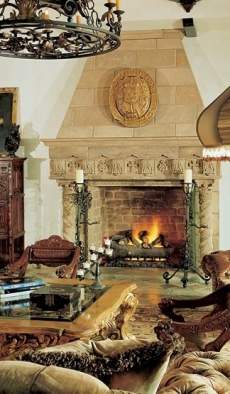 The celebrity home photos of formal fireplace designs featured here include a stylish collection of stone hearths for the stars. 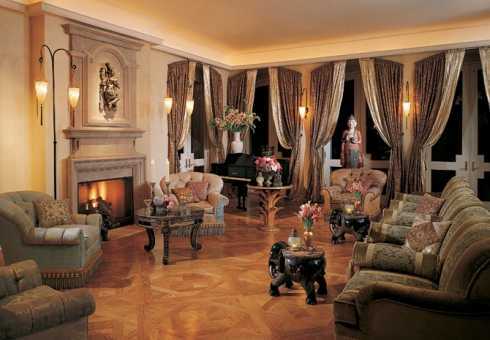 Inspired by the timeless designs of the past, they are meticulously crafted with uncompromising attention to detail! 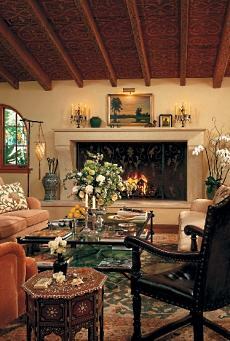 Pictured at right is the living room fireplace in Cher's Malibu, California home. 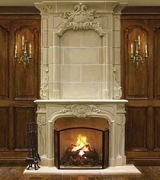 A striking hooded fireplace surround crafted from natural stone evokes the grandeur and romance of the Italian Renaissance, the archi- tectural style after which the sprawl- ing home, pictured below, is modeled. 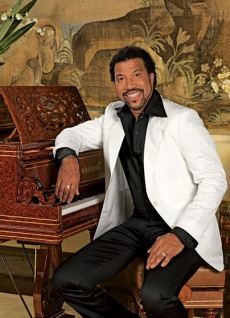 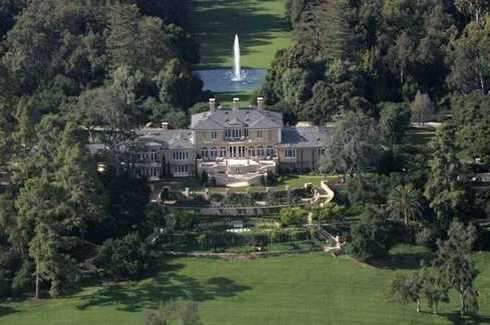 The Beverly Hills home (bottom) of another legendary musician -- Lionel Richie, pictured at right -- features a monumental stone fireplace in the living room (first row, below). 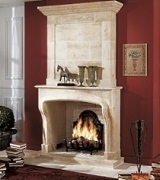 The spacious master bath, pictured in the second row, below, also features a stone hearth. 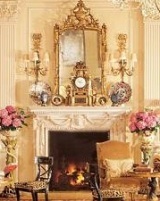 Pictured at right is a Country French fireplace mantel in the Los Angeles home of Candice Bergen. 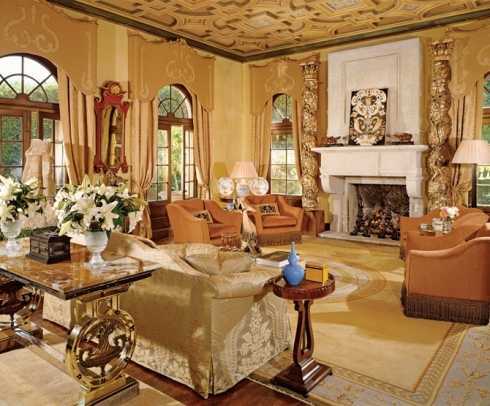 The highly formal floor to ceiling mantel and overmantel that follows provides a stunning focal point in the richly furnished Beverly Hills living room of the late actor, James Coburn. 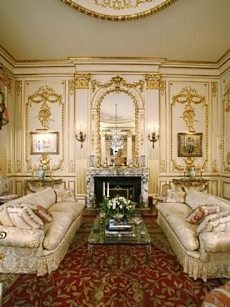 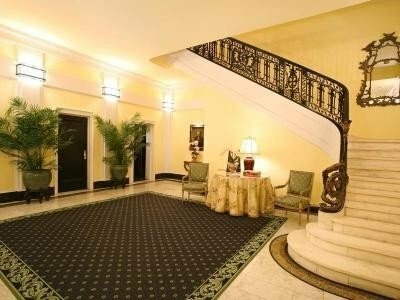 The celebrity home photos at right and below show the incredible turn-of-the- century Manhattan apartment of Joan Rivers. 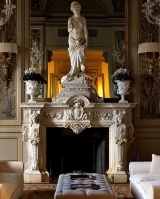 Designed by prominent Gilded Age society architect, Horace Trum- bauer (1868-1938), the remarkable rooms in this landmark dwelling are adorned with beautifully crafted marble fireplaces. 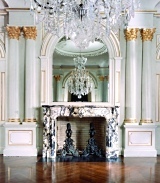 More Gilded Age Fireplace Designs! 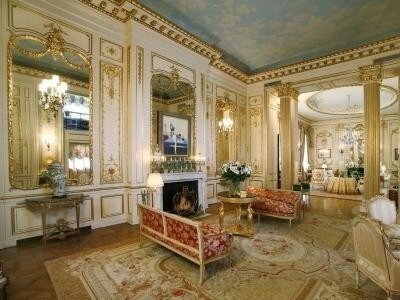 in Joan Rivers' Connecticut Country Home! 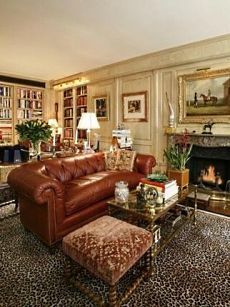 The exquisitely crafted marble fireplace mantel pictured at right anchors the library of talk show host and media mogul, Oprah Winfrey. 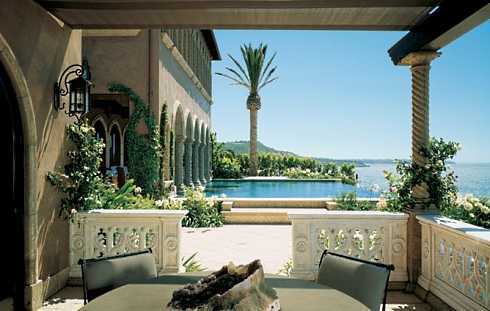 Her sprawling Montecito, California home, pictured below, is a veritable treasure trove of Georgian-inspired architectural design. 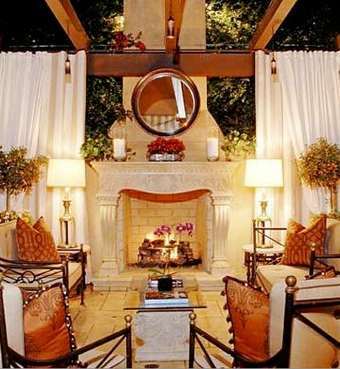 Please check back often or subscribe to our RSS feed, as we fre- quently add new images of celebrity fireplace designs to our site. 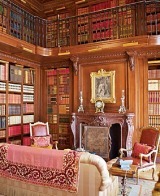 A Great Way To Get Inspired! 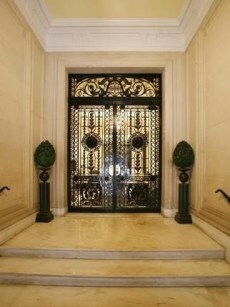 A Return to Classic Grandeur!